Back in 2015, I participated in the Shabby Chic Mix & Match Design Challenge for Chairish, an online marketplace for vintage and used furniture. Chairish has now expanded with a sister website called DECASO, which features an ultra-curated selection of exceptional antique and designer furniture offered by the world’s most respected dealers. 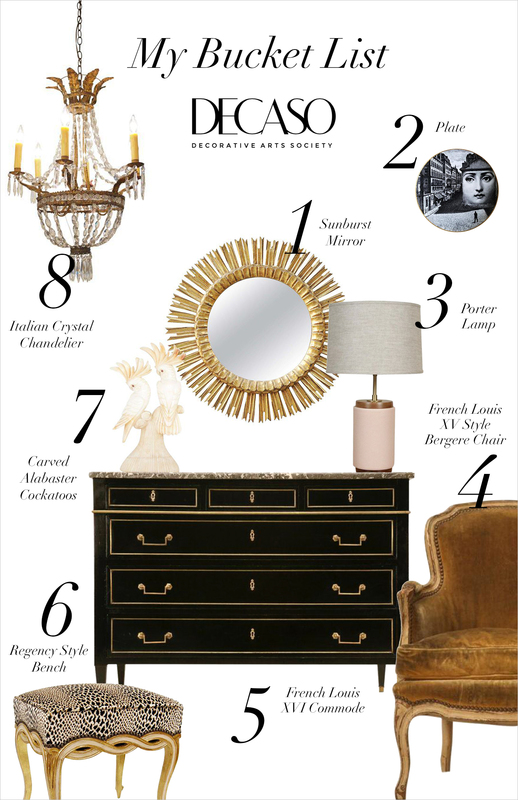 The inspiration and starting point for my dream space was the French Louis XVI commode. Isn’t it gorgeous? Very bold, but yet sleek and sophisticated for my girly taste. I must admit that in addition to my obsession with glass domes/cloches, my next home décor hoarding compulsion is anything in the shape of star/sunbursts. I just love the ‘celestial’ mirror. The Antique French Louis XV Style chair has a bit more ‘patina’ than I would like, but the colour of it is divine — like butterscotch or caramel, which I prefer to call ‘old gold’. I read somewhere in a decorating magazine that every room needs something whimsical and these cockatoos fit that perfectly. Awww, now I wish my bucket list was ‘for real’. Thanks DECASO for letting me dream! 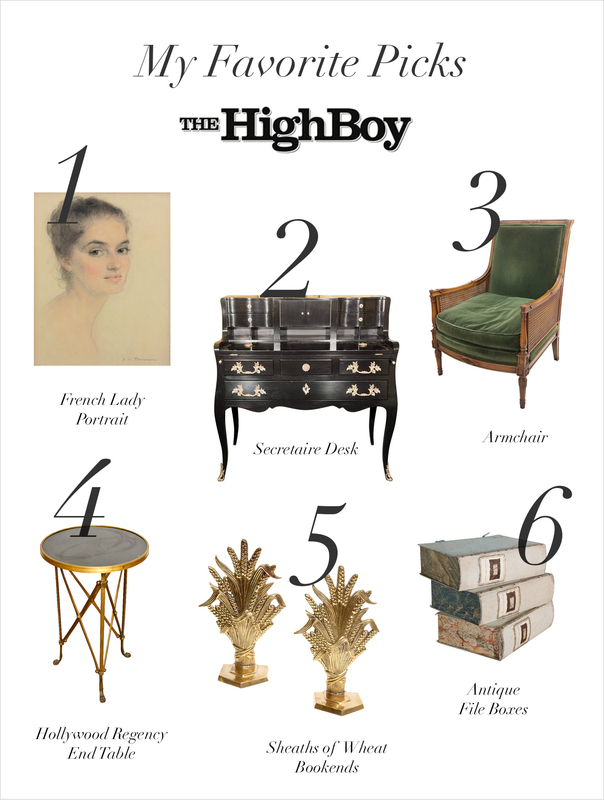 As someone who adores fine French furnishings, I was thrilled to discover a curated online marketplace called The HighBoy for beautiful antiques, jewelry and fine art. Collaborating with hand-picked antique and fine art dealers across the United States (international shipping to Canada available upon request), The HighBoy is known for offering a huge selection of exceptional antiques with a range of styles and prices from all over the world. It’s amazing having the ability to search the website by category, style, origin, theme and price for that unique and coveted piece. 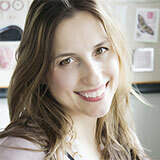 One of my favourite features of the site is shopping in the category Under $500. As like most fashionable and design-savvy ladies, I don’t always have a stockpile of funds to match my imagination and desires. But I am always sure to find a gem on The HighBoy that I would love to bring home with me that is affordable and won’t break the bank. Here I have curated my own wish list of my favourite picks from The HighBoy. They have amazing tables/desks, armchairs and side tables to be discovered as well as lighting and decorative objects. All items were under my $500 range — except for the Secretaire Desk. A girl can dream big, right? Sadly, the Hollywood Regency round end table was already sold to another lucky soul. 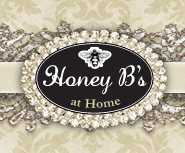 But I will be sure to check back to The HighBoy for more gorgeous vintage & antique finds. And if you love looking into the lives and apartments of celebs like Molly Ringwald and Marisa Tomei, check out The HighBoy’s editorial journal, The Weekly.